Dubai: The mother of a six-month old baby who fell seriously ill on an Air Arabia flight from Nagpur to Sharjah, forcing it to make an emergency landing in Muscat, has thanked the airline for their compassion and urged other mothers to seek a second opinion before flying with a sick child. 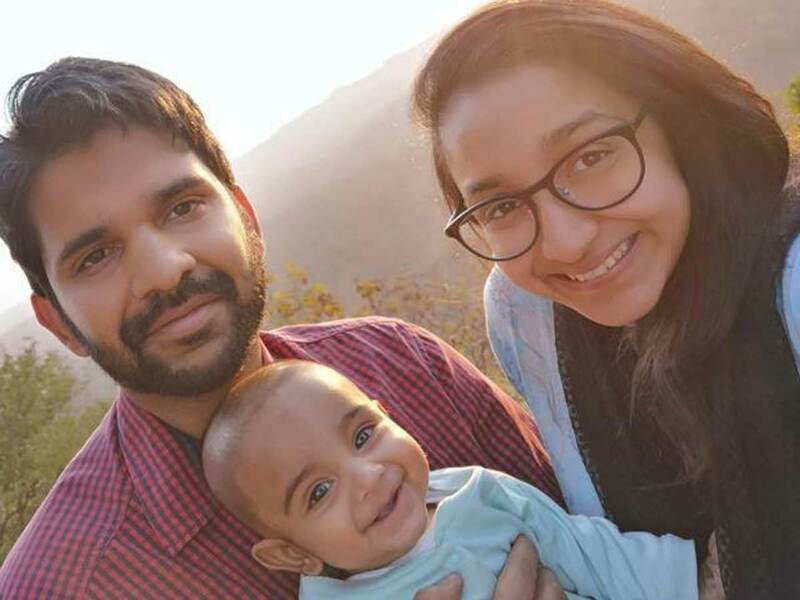 Sarah Bombaywalla, 24, was travelling to the UAE with her son Adam and her in-laws on March 4 when her son had a coughing fit on board that left him fighting for breath. Before booking a flight to Sharjah, the mother consulted a paediatrician, who gave the child clearance to fly. “However, half way through the flight Adam started coughing incessantly. When this went on for an hour, I was worried and sought help. I was fortunate that there were three doctors on board who immediately volunteered to help and oxygen was provided to stabilise my child,” said the mother. Despite help from the doctors however, the baby continued to cough and went pale as his condition worsened. 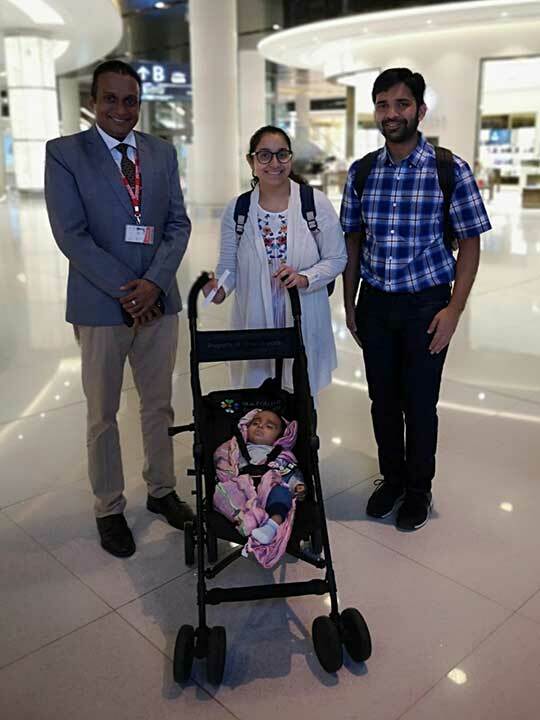 Dr Abhay Kumar Pandey, interventional cardiologist from Prime Hospital in Dubai, who happened to be on board, said: “It appeared that the child was either choking on a foreign body or had a very severe chest infection. “There was another anaesthetologist and doctor on board and together we tried to clear his airways by dislodging any foreign body manually. Then we started oxygen and also gave him nebulisation with two kinds of bronchodilators. Air Traffic Control at Muscat permitted an emergency landing and the child was rushed by ambulance to Al Nahda Hospital in Ruwi, Muscat. The child continued his treatment at Al Nahda hospital for nearly a week after which Air Arabia flew the family to Sharjah on March 12. The child’s father Mustafa, an electronics engineer with Nestle in Paris, flew to Muscat and accompanied them to Sharjah. Since the incident, the child has been on medicines to drain out excess mucus collection and dilate his bronchioles with nebulising sprays to keep his airways free. Bombaywalla has nothing but gratitude for the team of doctors and nurses at the Al Nahda hospital and especially thanked Air Arabia and its crew for their kind and compassionate handling of the incident. “They saved my son’s life,” said Bombaywalla, who now plans to fly home to Paris in a month’s time once Adam’s health stabilises. We thank Sarah for the heart-warming letter and are indeed delighted to hear about the recovery of little Adam. The wellness of our passengers is always priority and our flight crew did their duty in responding quickly to offer timely assistance to Adam. As the infant needed advanced health care, our crew understood the emergency of the situation and were able to rally the full support needed on ground too. Flight G9415, that was on its way to Sharjah from Nagpur on March 4, then resumed its operations after a few hours delay due to this medical diversion to Muscat International Airport. While we also regret the inconvenience caused to the remaining passengers on-board due to this diversion, we thank them for their support and understanding of the situation. What does a coughing seizure like this mean? However, not all infants are likely to have such an episode mid-flight, he said. “In most cases, the underlying pathology of the lungs like a pre-existing chest infection, asthma or chronic condition can cause such aggravation.” He also added the parents could screen their son for childhood asthma or allergy which makes the lungs hyper-reactive. “It will take time to clear out asthma or chest infection,” he added.